New research from Alliance Trust Savings indicates that women under the age of 34 would rather save for holidays than for their own retirement. In fact, saving for retirement is fifth on the list of priorities for women under 34, versus third for older women. For older men, retirement is at the top of the list, and third for younger men, after mortgages or rent and other essentials. According to Sara Wilson, head of platform proposition for Alliance, women may be risking their financial future due to their fear of investing and order of priorities. With low interest rates and inflation, the value of cash savings is being eroded. The gender pay-gap is still a problem, with one company reporting a 94% difference between its UK male and female employees. Women may find their incomes decreasing, even before retirement begins. Other research by the company delves further into the investing gap between genders, Women appear to be less confident with investing, seeing it as more of a risk than men. 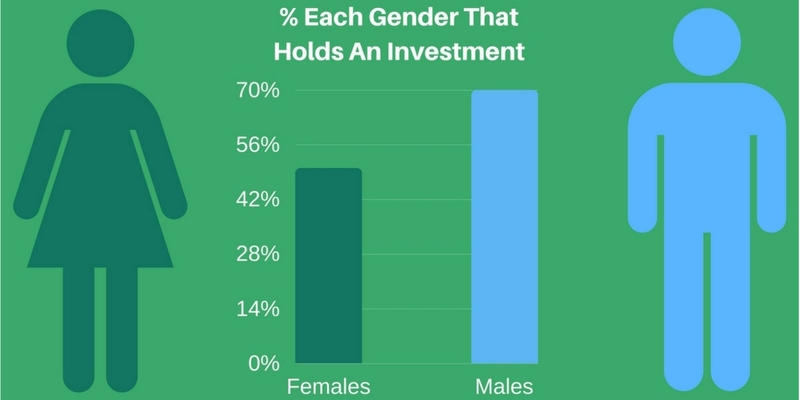 20% less women than men have any investments at all. “For women’s sake, we can’t afford to wait,” Wilson argues. It is arguably the fault of the financial services industry itself for not giving women the confidence to invest by educating them. Information from research, data and insight consultancy Kantar revealed that financial services firms could be missing out on up to £130 billion by failing to connect with women. It seems that at every stage, from financial marketing to funds, the UK’s financial services institutions are failing to win over women. There seems to be a lack of trustworthiness or transparency within communications in 55% of men and 65% of women. Just over a third of women feel in control of their financial future versus half of men. The research also sheds light on brand loyalty between the genders. In terms of satisfied customers, female clients are twice as likely as males to recommend a bank, and for savings, insurance and mortgage products, female clientele are more attractive. Calculations conclude that £133 billion could be redirected if financial institutions start supporting women. One of the main reasons for the disconnect is because of this lack of support. Gender should not be the only consideration according to EMEA managing director, Alon Tvina, who argues that there are so many different factors that define an audience sector, including “account size, spending power and age.” With increased targeting available, financial services firms no longer need to use a one size fits all mentality for their customer base. PropTech firms like Homegrown face a similar issue in terms of image, but the problem is in regards to age rather than gender. As a segment of the FinTech sphere, many assume that the target audience is the young and tech-savvy, but in the case of Homegrown, we have investors from a diverse range of ages and geographies. Financial institutions have a responsibility to cater to the needs of all of their customer base, no matter their age, gender, etc. With the increasing amount of data available, firms need to tailor make their marketing messages, creating communications that are intelligent and in touch with each audience segment, so everyone can feel valued individually. AltFi / Ignoring women: Banking’s £130bn a year own goal?